On the 28th December, sixth year in a row, Global Lithuanian Awards will convene the international Lithuanian research, art and business professionals returning for winter holidays from more than 20 countries. The event is organized by Global Lithuanian Leaders (GLL), network of professional Lithuanian diaspora. Its patron is the president of the Republic of Lithuania, Dalia Grybauskaitė, who will award the Laureates. The nominees and laureates of the Awards will join the Lithuanian luminaries and decision makers in the Forum of Global Professionals. 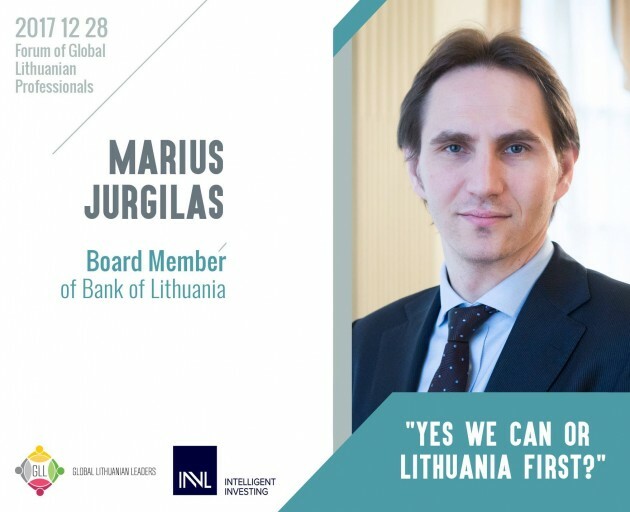 The participants all together will be looking for actionable ideas on how to strengthen Lithuanian economy by making the country attractive for local and global talent, a Global Lithuanian Leaders press release states. 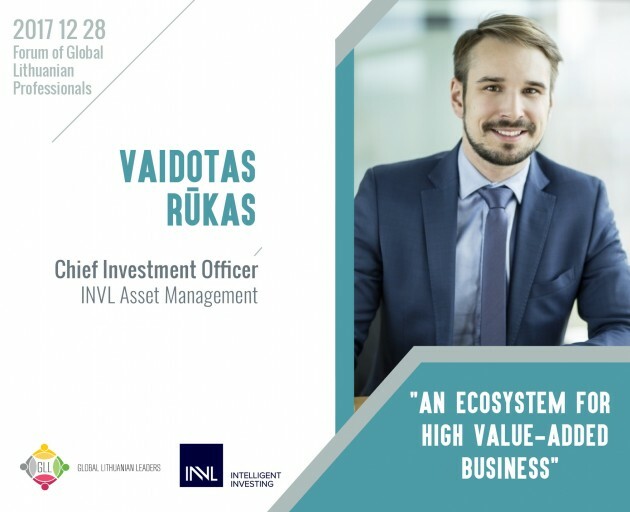 The Forum is organized in cooperation with INVL Asset Management, Open Lithuania Foundation, platform Work in Lithuania, Martynas Mažvydas National Library, and online news portal 15min.lt. Vytautas Keršanskas. 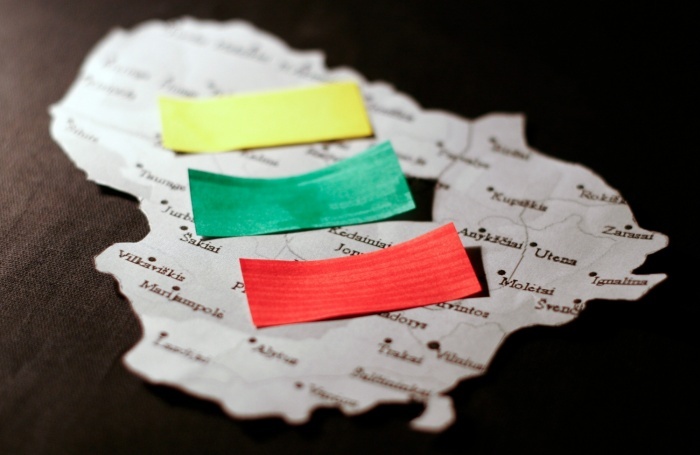 What sort of European Union does Lithuania need? 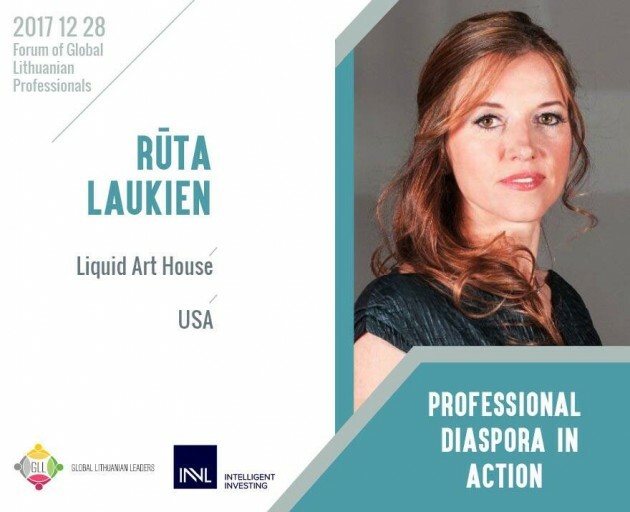 According to Director of Global Lithuanian Leaders, Kotryna Stankutė-Jaščemskienė, the major goal of the Forum is to establish connections between prominent international Lithuanian professionals and the country itself. „GLL is a network of experienced global Lithuanian professionals working for Lithuania's global success. Winter holidays is exceptional time of the year when diaspora visits Lithuania. We seize the opportunity to bring them together and make use of their professional expertise. International experience and best practices are valuable assets for our country's prosperity "- told the organizer. 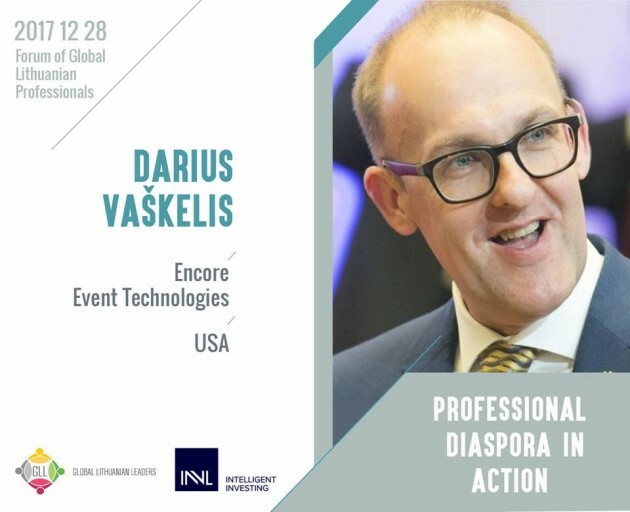 The Forum of Global Professionals will focus on workshops and active engagement of participants – global Lithuanian researchers, entrepreneurs, public contributors, local over-achievers and the representatives of the Government of Lithuania. "This year we say no to panel discussions. This time we will focus on turning ideas into actions, we will work on action plans, initiatives and professional connections. Our goal is to involve the whole audience because the professionals are known as eager sharers, with strong will to bring value to Lithuania. We believe they will come up to exceptional solutions for the revival of Lithuanian regions, boost of business quality and science, "- told GLL Director. 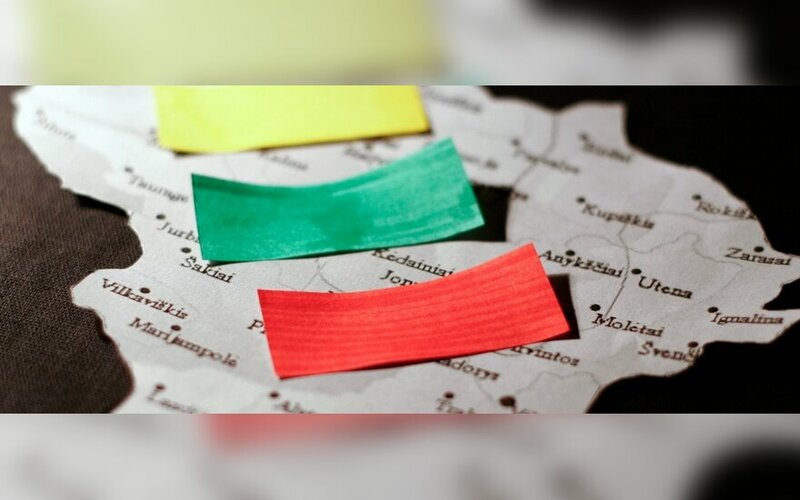 The first selected topic is the revival of Lithuanian regions. The goal of the workshop is to find means and ways to encourage entrepreneurial Lithuanians to settle outside big cities and open businesses there. 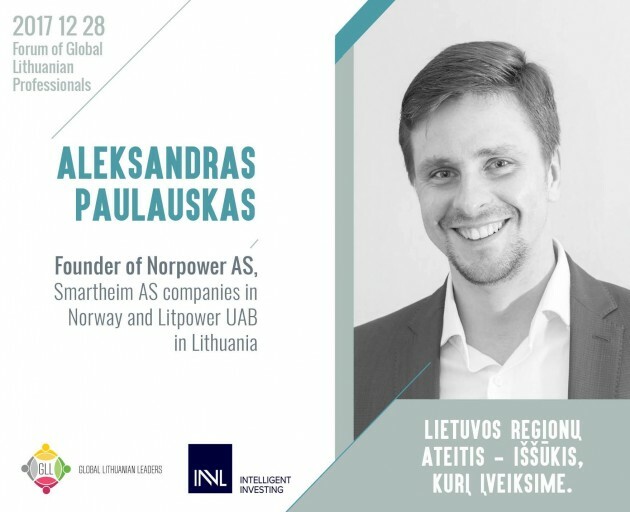 The idea will be led by Aleksandras Paulauskas, a Lithuanian entrepreneur in Norway. With business experience in both countries. Mr. Paulauskas is ready to return to his hometown, Šilutė, and use his foreign experience for local good. He strongly believes that Lithuanian businessmen in Norway are both potential investors into Lithuanian enterprises, and international business connection facilitators. The second topic is Lithuania as the Unicorn Valley. Lithuanian companies and professionals are ready to design high added value products and services; thus the workshop will be seeking for actionable ways in encouraging national innovations. The third workshop will focus on attracting 50 international researchers to Lithuania and will be presented by two prominent scientists: Dr. Gražydas Lukinavičius, working at Germany-based Planck Institute for Biophysical Chemistry, who will share knowledge and experience on the best global examples of attracting scientists, and Prof. Daumantas Matulus, a returnee from the USA and now a professor in Vilnius University and member of Lithuanian Biochemical Society, who will present his idea of science integration program. The Forum will be followed by the Ceremony of Global Lithuanian Awards hosted by the President of Lithuania Dalia Grybauskaitė. The ceremony will honour the global community of people, who strengthens Lithuania will their deeds, knowledge and contacts. Watch live broadcasting of the ceremony via LRT Kultūra on 5pm. Please, find more information in the event's website.